A good dash of cooking passion! Mix together to form a smooth, firm dough. Pinch approximately 25gm of dough (about the size of a walnut) and roll until smooth. Repeat. Leave the dough balls to prove for 30 minutes. Place into the deep fryer and turn frequently to ensure a consistent colour. Once golden – this will take just a minute or two – remove and pat dry with kitchen towel. 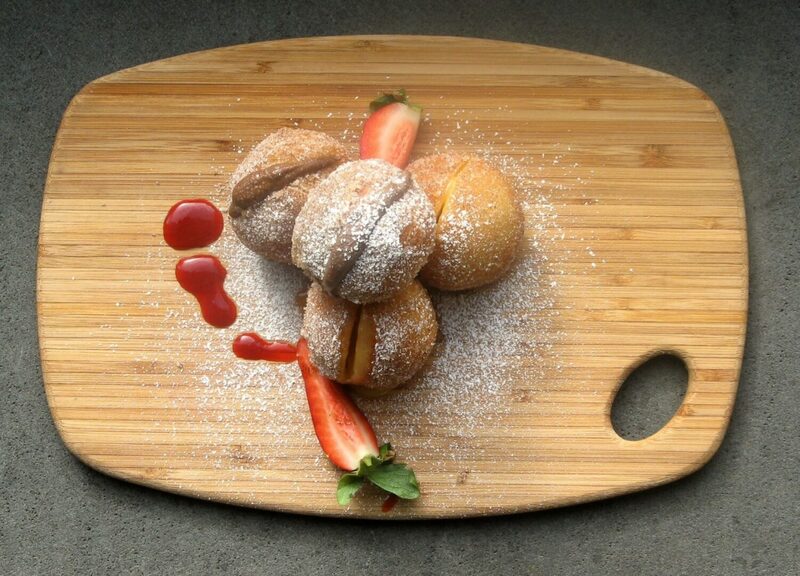 Roll in cinnamon sugar or dust with icing sugar, then splice with lemon curd or Nutella. Serve with fresh local strawberries if in season.